Storytelling – it’s undeniable that its heritage has long been a part of how knowledge has been transpired, how community has been knit and how relationships have been made in the South. 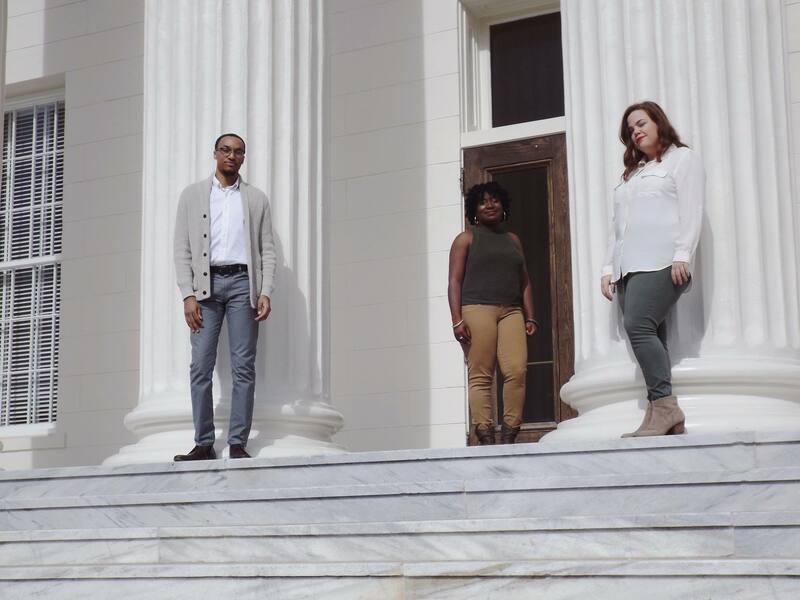 Three Montgomery millennials are using the age-old tradition of storytelling to profile Southern visionaries, activists, designers, artists and change-makers through digital technology on their site Foreword South. But even the three founders, all three Auburn University graduates, were skeptical they would ever return home. They all connected in Montgomery after college, Megan Skipper and Dillon Nettles with the Montgomery Education Foundation, and Ashley Edwards with The Gift of Life Foundation. Edwards is originally from Conyers, Georgia. Nettles and Skipper are from Daphne, Alabama. never imagined they would be back in the South as young professionals. “We knew we wanted to be innovators, helpers, entrepreneurs. But clearly, we couldn’t do that in the South. At some point in college we were all convinced that to live out our dreams and make a difference, we would have to leave,” says Nettles. But after graduation, each found their way to Montgomery – what began as seemingly a detour from their goals ended up opening their eyes to the opportunities around them. “We started getting involved in the community and saw that there are changemakers and innovators on every corner of this city. And they need to be spotlighted,” says Nettles. Out of this passion, Foreword South was born. Their focus: to paint a new picture of the Southern identity through storytelling. Through an online platform, soon-to-launch podcast series and live events, each story follows the same theme: progress in the face of adversity. Megan Skipperreover, it is enables them to shape the discourse and share stories to a much larger and diverse audience. “Stories are passed down. This way we can get back to storytelling but do it in a fun way, giving our subjects a larger platform and reach,” said Nettles. The team began identifying story ideas and interviewing subjects in March 2017 and launched the site the following month. Montgomery-entrepreneur James Weller became a business mentor for the team. Having settled back in the Montgomery to invest and cultivate innovation, Weller has been instrumental in showing the team how to grow and brand their business, and models what it means to be a business leader. “We see this as an opportunity for community-building through storytelling, connecting people, sharing stories that are healing, affirming and moved by knowledge of how digital media works. It’s through this approach the Foreword South founders aim to transform how both outsiders and insiders alike view the South. “As we have continued this work it has been an amazing realization – if I had only known these people, their stories and the work they are doing existed, I wouldn’t have felt the need to go somewhere else. I could have envisioned my life here, and would have been more committed to staying here,” says Nettles. His co-founders agree. And through Foreword South they are intentional to show people the value and the impact they can have living in the South. “Through my work in the community, I have come to find that the people doing the work in these organizations are truly the backbone of change. I want to tell their stories and empower them to continue the work they are doing,” says Skipper. And the team sees a close connection in storytelling and the progress of the state. It’s the close community and grit of the South that Edwards thinks makes it so ripe for innovation and progress. “First of all, we have tight communities, people who are easily connected and who are helping each other out. But more than that, people in the South have learned how to be innovative and create change with little resources. Meet the grassroots leaders and community activists – if you look closer you can see how much they are able to accomplish with little resources. Imagine the economic impact when this is amplified and we have both monetary and physical support,” says Ashley.